In a desperate bid to shed its image as a non-communicative company, Hyundai Motor's top executives including its President Kim Choong-ho and chief designer Peter Schreyer will meet customers here to listen to them first hand. Kim will meet some 80 customers at a casual meeting during the event, Maeum Dream, where customers will ask questions of the carmaker at The K Hotel, in Seoul, Oct. 27. It is rare for a local carmaker to have its chief executives come forward to meet customers and answer their complaints. Following the event, other executives, including Hyundai Motor Group Vice Chairman Kwon Moon-sik, Kwak Jin, executive vice president of the domestic sales division, and chief designer Peter Schreyer, will hold successive talks with customers. The world's fifth largest carmaker, which once held the dominant position in its home market, has been losing market share. Not only the rise of imported brands, but also blamed are rumors surrounding the car maker, for instance, it is said that it manufactures the same brand cars with lower quality parts and are less safe for the domestic market than the higher quality cars it exports. 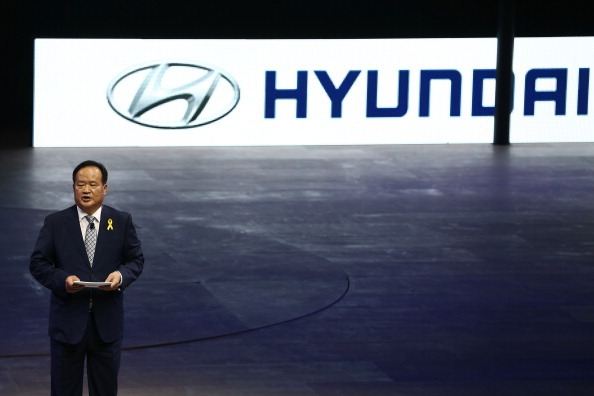 The industry regards these meetings as a sign of Hyundai's strong will to beef up communication with customers and lift its brand image here. Hyundai's public car-to-car crash tests in August were a turning point. In this surprise publicity stunt, the Sonata midsize sedan, manufactured in Alabama in the United States, collided with the same model produced by a local plant in Asan. In a poll taken during the crash test, 74 percent of the participants said that there is a difference in terms of safety between cars produced in the U.S. and vehicles that are locally produced. Kwak Jin at the time said although there is risk involved in such an event, it took the risk to dispel customer misunderstanding and stressed that the carmaker will actively engage in communication with customers. Hyundai has posted messages on the Misunderstandings & Truth site, its official blog, to counter the rumors. Earlier this month, it posted on the opinion that Hyundai's airbags are not deployed during accidents. The company has also invited various automotive club members on factory tours and organized test-drives as well. "Targeting club members and bloggers, we are striving to boost communication with customers. As we do continuously, we believe our sincerity will reach our customers," said a Hyundai official.